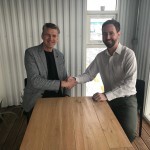 Kynning fyrir skóla er verkefni sem hefur það að markmiði að efla meðvitund og vekja áhuga á sjávarútvegi hjá nemendum í 10. bekk í grunnskóla. 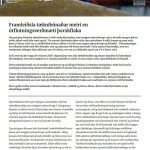 Borið hefur á miklu áhugaleysi í garð sjávarútvegsiðnaðarins hjá nemendum á bæði grunnskóla- og framhaldsskólastigi og er þetta því liður í að snúa því við til að stuðla að auknum áhuga ungs fólks að öllu sem viðkemur sjávarútvegi. Kynningin samanstendur af stuttu ágripi af sögu íslensks sjávarútvegs, sérstöðu Íslands, helstu fiskategundir og framleiðsluferlinu, en í því felst svo miklu meira en flestir gera sér grein fyrir. Sagt er frá þeim hátækniiðnaði sem sjávarútvegurinn er í dag og hinar ýmsu starfstéttir sem tengjast honum á mismunandi hátt. 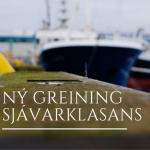 Einnig er bent á bæði beinar og óbeinar námsleiðir tengdar greininni og krökkunum sýnd taska sem er stútfull af hinum ýmsu aukaafurðum úr fiskinum sem fáir vita að eru framleiddar á Íslandi. 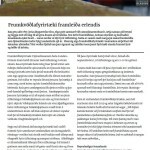 Markmiðið er því að gera þeim grein fyrir hversu víðfeðm áhrif sjávarútvegurinn hefur á okkar samfélag og hversu flottur iðnaður hann er. Í vetur hafa verið haldnar um 30 kynningar á Suðurnesjunum, í Vestmannaeyjum, Hafnarfirði, Garðabæ og Kópavogi. Kynningarnar hafa náð til tæplega eitt þúsund nemenda og hafa skilað frábærum árangri sem endurspeglast í skemmtilegum umsögnum frá skólunum. Undirbúningur á kynningum fyrir næsta vetur er nú þegar hafinn en stefnt er að því að bæta við Reykjavík og Akureyri. ,,Vil bara enn og aftur þakka ykkur kærlega fyrir komuna. Virkilega vel gert hjá ykkur og fróðlegt. Þetta er akkúrat það sem við náms- og starfsráðgjafarnir þurfum til að fá nemendur til að sjá möguleikana á því að fara í t.d. starfs/iðnnám að loknum grunnskóla“ – Ásthildur G. Guðlaugsdóttir, náms- og starfsráðgjafi í Kársnesskóla í Kópavogi. ,,Ég og krakkarnir vorum mjög ánægð með kynninguna ykkar. Hún var mjög fræðandi og skemmtileg og þið náðuð vel til nemendanna. Nemendum mínum fannst mjög gaman að sjá það sem þið komuð með og fá innsýn inn í sjávarútveginn frá sérfræðingum. Takk fyrir okkur, flott kynning sem ég mæli hiklaust með.“- Þórhalla Gunnarsdóttir, náms- og starfsráðgjafi í Lindaskóla Kópavogi. Aðalstyrktaraðilar eru LÍÚ og Tryggingamiðstöðin. 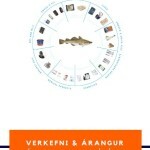 Nánari upplýsingar um verkefnið veitir Heiðdís Skarphéðinsdóttir (heiddis@sjavarklasinn.is).School presentations is a project that aims to increase awareness and interest in marine related activities for students in high school. The lack of interest in the fisheries industry has been prominent among high school students in general and this is an attempt to turn things around and increase interest among young people towards the industry. 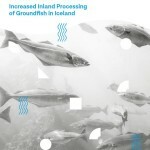 The presentation consists of a brief synopsis of the history of the Icelandic fisheries, Iceland‘s geographical uniqueness, the major fish species and the production process, which covers more areas than many people realize. The students are informed of the high-technology industry that follows fisheries today and the various career options associated with it in different ways. 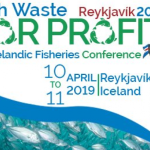 Subsequently both direct and indirect programs related to the industry are pointed out to them and the students get to handle a bag full of products produced from fish that very few people know are manufactured in Iceland. The main goal of this presentation is to open the students‘ eyes to the vast impact the fisheries industry has in the Icelandic community. 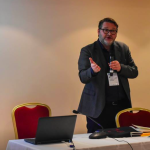 In the recent school year of 2012-2013 about 30 presentations have taken place in the Reykjanes peninsula area, the Westman Islands and three towns next to the Reykjavík capital area. The presentations have reached out to almost one thousand students and have been very well received which is mirrored in the great reviews the cluster has received from the schools. Preparation for the next school year‘s presentations has already begun and the aim is to add schools in the capital of Reykjavík and in Akureyri, the capital of north Iceland.